Private secondary schools are increasingly focusing on grades and showing high pass percentages to the detriment of “all-round development” and learning. Principals of these schools, with whom we interact in a leadership programme conducted by the Indian Institute of Management, Ahmedabad, cite changing societal aspirations as driving the focus on achieving a good school report card. Principals also point out that the quest for academic outcomes distorts student intake in favour of the relatively advantaged sections of society which are better able to meet the schools’ expectations. As “the more one pays, the better education one gets” dictum takes hold, schools seek children who not only can meet the financial needs of the school, but also have the ability to invest in ancillary educational resources at home. In this environment, some schools are swimming against the tide and building inclusive educational environments. In this article, we highlight the experiences of some of these schools and conclude with suggestions on how they can be supported. The Loreto Day School in Sealdah, Kolkata, has developed a system to integrate fee-paying children with those who do not pay fees. Starting with a small number of non-fee paying children, the school has brought their number up to half the total enrolled children. Second, the school organizes several sensitization programmes, such as weekly visits by the school children to nearby villages, projects to study the problem of hidden child labour, and activities that focus on social concerns. True, some parents do express concern about the range of activities, but overall, most parents, and children, see the impact on the children’s formation in positive terms. The Nilobaray Vidyalaya, in Ralegan Siddhi village of Maharashtra, prioritizes admission to children who have either failed or been expelled from other schools because of indiscipline. These children, constituting about half the population of the school, stay in a residential facility on campus. The school encourages personal bonding between children and teachers through storytelling and games and physical exercises while also focusing on studies. The Swaminarayan Gurukul Hariyala, in Kheda, Gujarat operates with a similar approach, admitting children who do not fit in elsewhere. Study after school hours is organized in small groups where children of varying ability are put together. Being a faith-inspired school, its curriculum includes lectures on scriptures, and management includes members of the Swaminarayan sect, who take responsibility for the hostel, mess, and co-curricular activities. The Chandrabala Modi Academy, in Ankleshwar, Gujarat, established in 1992 as a Central Board of Secondary Education-affiliated school with the support of an industrial group, tries to inculcate an inclusive outlook among its children through co-curricular activities—for instance, by organizing a swim across the Narmada river to draw attention to drug abuse, padayatras against child labour, and similar activities. The Amar Jyoti School in Delhi integrates children with disabilities with non-disabled children. Disabled children join other children for classes and games and also participate in cultural programmes. The school has established training and orientation facilities for parents and community members; parents participate in its activities. Saint Mary’s School, also in Delhi, has a similar approach to integrating the differently abled. It has more than 1,500 students. Each class has a few students who are affected by some disability: visual, auditory, physical, or mental. The school has developed methods of teaching and organizing class timings so as to reach out to all students. The school has not recruited special educators but has helped its teachers address needs of all the children through innovative teaching. These are only illustrative examples. Several other schools are trying to provide education in an inclusive manner, despite tight budgetary constraints. Providing access to children from marginalized communities or differently-abled children entails extra costs which the children are often not in a position to meet fully.The vision of the promoter and the leadership provided by the school heads carries these schools along. Such schools believe in education that goes beyond the limited goal of getting a good grade, and aims at developing responsible children who grow up to be conscientious citizens. 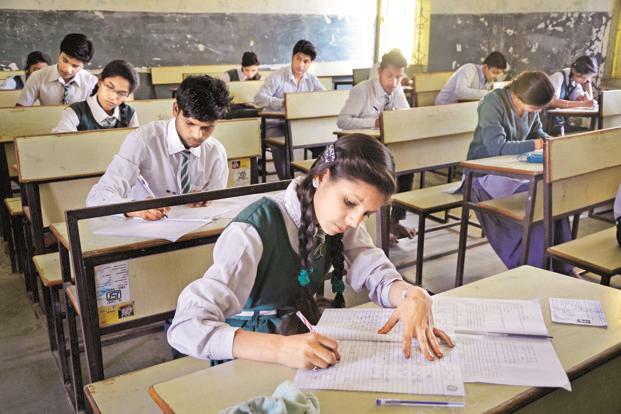 Trends in secondary and higher secondary school enrolment in India indicate that the share of private schools, which stands at about 22% today, is set to rise. State and donor support to such schools will support their efforts by helping them manage costs better. The state can insist on a track record of a decade or longer to ensure it supports institutions that are committed to inclusive education over the long term. Similarly, corporate houses can support such schools under their social responsibility subventions. Academic institutions and policy think-tanks can study such initiatives and develop a counter to the dominant discourse that is leading to more segregation and circumventing of the goal of “all-round” development of our young. Rajeev Sharma and Vijaya Sherry Chand are faculty members of the Indian Institute of Management, Ahmedabad and are members of the Ravi J. Matthai Centre for Educational Innovation, IIMA.